Kantha is a form of embroidery often practised by rural women. The traditional form of Kantha embroidery was done with soft dhotis and saris, with a simple running stitch along the edges. Depending on the use of the finished product they were known as Lepkantha or Sujni/Suzani Kantha. What is the best place I can buy kantha from? Any Good Sites To Buy kantha throw From? Here you will find some of the top trusted websites to buy kantha throw as well as their top rated kantha quilts. Using kantha throw in your home is an elegant way to decorate your bedroom or living room. 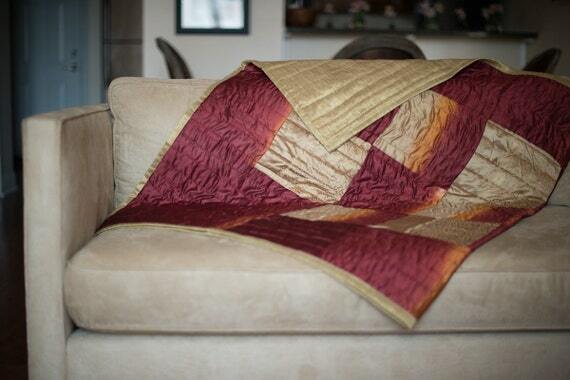 Etsy has more than thousands of artists showcasing and selling their creative ideas quilting kantha throws. This website is pretty easy to use and allows you to directly get in touch with artist . The only issue is that some sellers claim that their kantha throws are handmade whereas they are machine made and disappoint buyers somehow. If you're familiar with the home decor brand Jaipur Handloom, then you should love their range of kantha throws which makes a perfect addition to any dorm room, living room or bed room!. It's one of the top brand and website that sells kantha throws or kantha quilts. Jaipur Handloom makes Bedding, blankets, duvet covers and quilts that have the same indie, rustic feel like etsy and Amazon but are still unique to their brand. They're also extremely affordable and come in sizes Twin, Queen, XL, to King. Price range: $40 - $350. Every purchase pays an artist. Simple, but huge. Ebay is a pretty big brand name in all categories and rather large international website selling all sorts of hand woven kantha throw from all over the world. It has large collection of kantha quilts at very impressive price. Amazon is rather huge and big website and has behemoth collection of kantha throws priced widely in lower range of $40, however due to marketplace Model there is question about quality of the product and lot's of repetitive designs sold by Indian sellers. Trying to find traditional styled kantha throws for sale? Then you have come to the right place; Dignify has many kantha quilts for sale. If you are looking for some uniquely designed quilts and have decent budget above $59 , you will find good quilts from Dignify. One of the best ways to fill your bed room, living room or dorm room with good vibes is to decorate them with kantha throws. These kantha quilts at etsy, dignify or Amazon can be a little expensive, but at jaipurhandloom.com, you can find literally anything you want for your bedroom at less than $45 ! The site features prints of famous works like silk sari kantha throw, vintage sari kantha throw, kantha gudri, indigo kantha throw, ikat kantha blanket, paisley kantha bedspread and so much more. 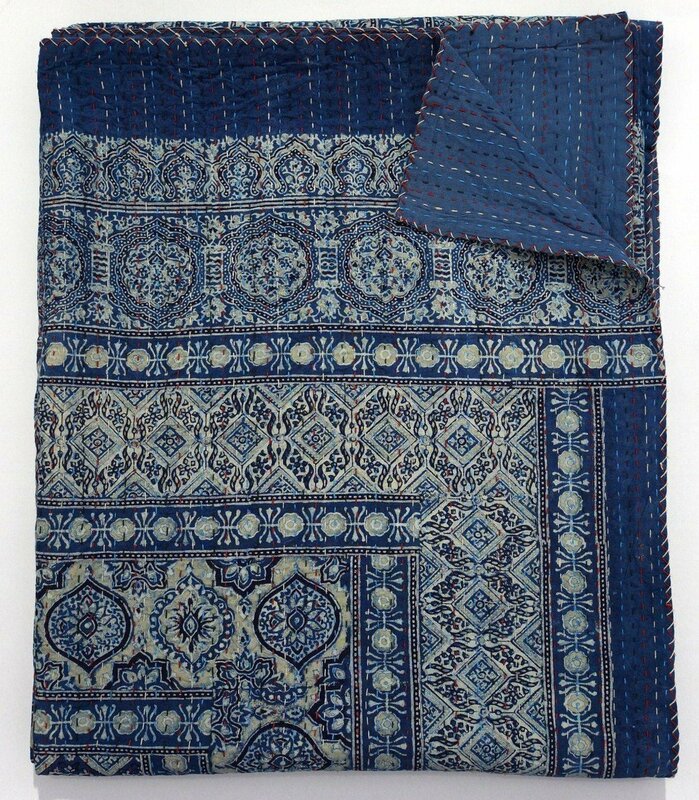 kantha throws are an awesome way to take your cozy bedroom, living room to a whole new level. If you shop on jaipurhandloom.com for kantha throws; they sell original artist made throws. Although they sell out fast, there's always new pattern of kantha throw being added and sold every day.